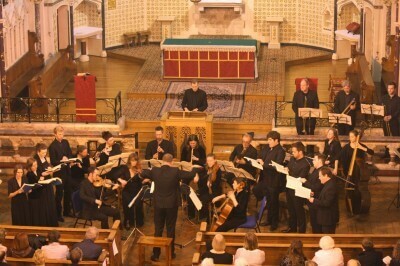 There was a beautiful performance of Bach's Mass in B Minor on Sunday evening by the Camerata of Curiosities, conducted by Andrew Knowles, as part of our celebrations for St Philip's 500th Birthday. This year the Oxford Oratory is celebrating the 500th anniversary of the birth of Filippo Neri, a Florentine who moved to Rome as a young man and set up the Congregazione dell’ Oratorio – which attracted huge crowds in Rome and became an artistic and spiritual power-house. Palestrina frequented the Oratory and confessed there, whilst Tomás Luis de Victoria received a chaplaincy at San Girolamo della Carità after joining this community of priests; in fact, all kinds of people were deeply attracted to the Oratory, where they learned to pray. Filippo Neri would take hundreds of people on pilgrim walks up to the hills of Rome, where they would sit and listen to spiritual stories of angels and saints delivered, often by young children, in a dramatic way. The people were amazed, hearts were moved and their lives became charged with a new zeal and vigour. They were attracted to evening spiritual concerts too in the church, and these semi-staged dramatic dialogues and choruses prefigured the development of both the oratorio and opera genres. At the end people would sing one of the beloved laude – vernacular hymns of Florentine origin and much beloved by Neri since his youth – and would feel the power of the Holy Spirit moving deep within. These developments can easily be seen to be the very cradle of the Baroque in music, and led to a more extended type of dramatic performance with instrumental accompaniment, which foreshadowed the future development of the large–scale oratorio of the late Baroque and which made possible the composition of pieces like Handel’s Messiah, and Bach’s great St Matthew Passion and B Minor Mass. It was at the Oratory in Rome that this genre first started and from which it takes its name. 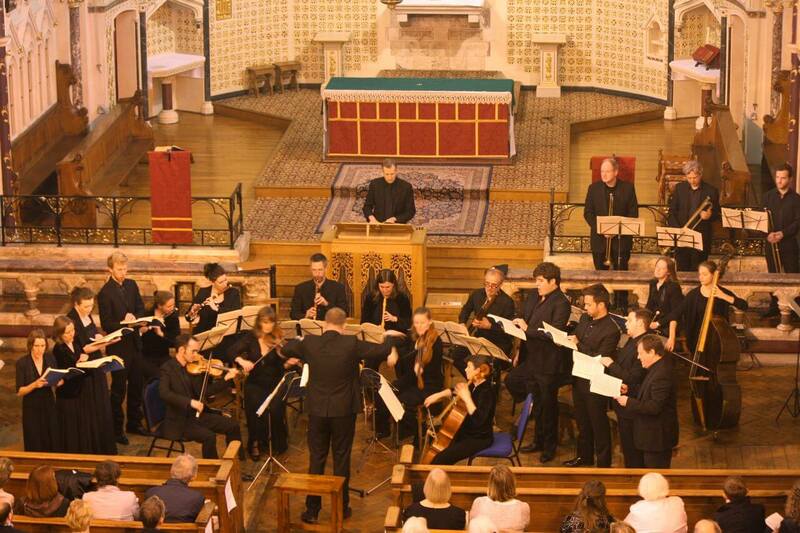 The performance this evening uses the text of the Mass, but the genre is more germane to that of the oratorio. The B Minor Mass is Bach’s only complete setting of the Ordinary and it follows a long tradition of complete Mass composition – yet Bach outstrips his predecessors by the large scope of this work. This Mass occupies an outstanding position in the whole of his œuvre; it is an artistic legacy which he spent his final years, and his last death–bed moments, completing. This monumental work is a synthesis of every stylistic and technical musical device which Bach had at his disposal. It is my belief that in performing this work one–to–a–part, the graceful filigree of this intricate writing will be vividly presented. Bach believed that it was by the musico-mathematics of his counterpoint that he extended the mystery of creation into music; he rendered praise to God by his own intelligent creativity – that by imitating the fractals and patterns of Nature, he was writing truly God–worthy music. This work of supreme genius is an astonishing encounter between the cult of the cross and spiritual ecstasy.